HRH Sultan Sharafuddin Idris Shah is known to be a private person and rarely voices out. The only times that he would voice out is when matters pertaining to the Constitution is touched upon, and yesterday was one of those times. He said that the act of a certain group questioning the sanctity of Islam, the special rights of the Bumiputeras, the national language, and the function and position of the Malay Rulers enshrined in the Federal Constitution need to be immediately addressed and curbed. I have come across such people, and unfortunately, many are young Malays. They do not seem to understand that the social contract made between the various races of Malaya prior to 31stAugust, 1957 and Malaysia prior to 9thJuly 1963 are now part of the Federal Constitution. Nor do they know the parties who signed both agreements for the independence of Malaya, and the formation of Malaysia, and understand why those agreements were made. I put a partial blame on the education system where we were taught that we were all colonised by Britain when that is not true, except during the Malayan Union period. Although Islam had been preached in the Malay Archipelago, Indo-China and China as early as the seventh century, it is largely held that Islam arrived in the Malay peninsula in the 12thcentury. Syariah laws such as the Batu Bersurat of Terengganu, Hukum Kanun Melaka, Undang-Undang 99 Perak became the laws of the land. “There can no doubt that Moslem law would have ended up becoming the law of Malaya had not British law stepped in to check it.” (William R. Roff, Patterns of Islamization in Malaysia, 1890s-1990s: Exemplars, Institutions and Vectors, Journal of Islamic Studies Vol. 9, Is. 2 (1998), 210-228, at 211). This was reinforced by two British judges in the landmark case of Ramah binti Ta’at v Laton binti Malim Sutan 6 FMSLR (1927). It is due to these facts that the sanctity of Islam was retained in the Federation of Malaya Agreement of 1948, and was introduced into the Federation of Malaya Constitution of 1957. The English law was only introduced to Pulau Pinang as it was the original British colony. It was on 25thMarch, 1807 that a Charter of Justice was granted by the Crown establishing a Court of Judicature in Pulau Pinang, with jurisdiction and powers of the Superior Courts in England. This was then introduced to Melaka and Singapore when they became part of the Straits Settlements under British rule. Only with the arrival of the British residents in the Malay states in the last quarter of the 19thcentury was the English law introduced there in the form of Orders, Regulations and Ordnances, save for the laws and regulations affecting the Malay customs and the administration of Islam. These laws provided for the administration of justice, the law of contract, sale of goods, bills of exchange, company law, criminal law and procedure, the law of evidence, land law, labour law, and the regulation of many matters of public interest. The Civil Law Enactment, 1937 (No.3 of 1937, FMS) introduced the whole body of the common law of England and of equity of minor modifications. It provided always that the common law and rules of equity are “subject to such qualifications as local circumstances render necessary”. Local laws and custom were made applicable. Islam was made the religion of the Federation of Malaya. Although Lord Reid felt it was unnecessary to have such a provision as the Sultans would be the Head of Islam in their states, it was added to the draft of the Federal Constitution at the suggestion of Justice Hakim Halim bin Abdul Hamid of Pakistan, who was a member of the Reid Commission, because he said the suggestion by the Alliance party that represented the people of Malaya to have that proviso added was inoccuous. Sir Donald Charles MacGillivray personally felt that such a provision would be advantageous because the Yang DiPertuan Agong could at the same time become the head of the faith in the Settlements of Penang and Malacca (CO 1030/524 (10), MacGillivray to Secretary of State, 25 February 1957; See also CO 1030/524 (18), MacGillivray to Secretary of State, 21 March 1957). This accord was reached between those who were party to the discussion – the Malay Rulers, the British who administered the Rulers’ sovereign states on their behalf, and the multiracial government chosen by the people in 1955 to represent them. There is even a separation of jurisdiction when it comes to the position of Islam in the Federal Constitution. The Syariah Law comes under the purview of the respective Rulers, and the Attorney-General of Malaysia, under Article 145(3) does not have the jurisdiction over proceedings before a Syariah court, a native court of a court-martial. This separation of jurisdiction is also present as provided by Article 121(1A) where both the High Court of Malaya and High Court of Sabah and Sarawak do not have any jurisdiction over Syariah matters. Therefore, any claim that the Syariah law infringes on the rights of the non-Muslims is fallacious. The Malaysia Solidarity Consultative Committee chaired by North Borneo’s (later Sabah) Donald Stephens (later Tun Fuad Stephens) stated in its memorandum dated 3rdSeptember 1962 that the acceptance of Islam as the religion of the to-be-formed Federation of Malaysia would not endanger religious freedom within Malaysia nor will it make the country less secular (Malaysia Solidarity Consultative Committee Memorandum on Malaysia, 3 Sep 1962, p.p 120). And that is how Islam became the religion of Malaysia. Of late there have been calls for the return of Pulau Pinang to the sovereign Ruler of Kedah. This is because since being governed by the DAP, Pulau Pinang (Penang) has been behaving like an autonomous state while chasing out Malays, Indians as well as marginalised Chinese from the island state. If I were to follow my heart, I would wish for Kedah to reassert its sovereignty over Penang. However, legally that would be disastrous for Malaysia. The proponents for the return of Penang to Kedah base their arguments on the agreement made in 1786 between the British East India Company and the Ruler of Kedah at the time, Sultan Abdullah Mukarram Shah. During that time, Kedah was already under the Rattanakosin Kingdom established by King Taksin. Kedah was already paying tributes in the form of Gold Flowers to the Kingdom of Siam in 1781 and had accepted the Siamese sovereignty. In the 1786 agreement, Francis Light was supposed to assist the Kedah ruler in the event that Kedah comes under attack by another power; the British East India Company (BEIC) was not to protect enemies of Kedah (namely the Burmese and Siamese); and BEIC was to pay the Kedah government an annual repariation of 30,000 Spanish Dollars for the lease of Penang. Tension grew when Francis Light did not inform his superiors in India of the full details of what he had promised to Sultan Abdullah. In the end, Light was asked to provide Sultan Abdullah with less than what had been requested. The EIC decided to to provide the Sultan with any form of protection and nothing was said of financial repariation. Light was forced to use the island’s revenue to pay the Sultan but offered only $10,000 Straits Dollars a year for eight years for the island, or $4,000 Straits Dollars a year for so long as the Company occupied the island. The unamused Sultan then gathered his forces in Prai in late 1790 to take Penang back by force which was defeated by Light. Sultan Abdullah sent his emmissaries Tunku Sharif Muhammad, Tunku Alang Ibrahim and Datuk Penggawa Telibun to negotiate a treaty with Light. From 1826, the BEIC placed Penang under the Straits Settlements. 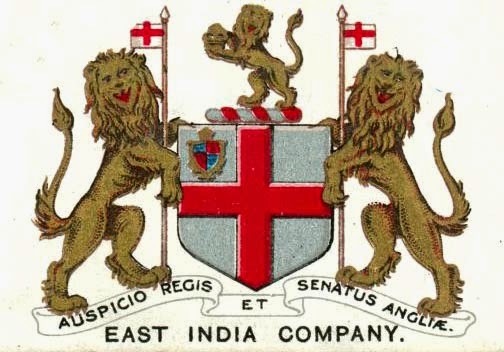 Subsequently, in 1874 the BEIC was dissolved and as a result of the 1873 East India Stock Dividend Redemption Act the Straits Settlements came under direct British Crown rule via its government in India. The Brtish Government became the rightful owner of Penang as successor of the BEIC. Each state in what was called Malaya were sovereign states up until 31st August 1957 when the Federation of Malaya that existed following the breakdown of the Malayan Union in 1948 ceased to exist. “Malaya” as it was known then was made up of the Federated Malay States (Selangor, Perak, Negeri Sembilan, Pahang), the Unfederated Malay States (Kedah, Kelantan, Terengganu, Perlis, Johor), and the Straits Settlements (Penang, Melaka and Singapore). The discussions leading to the formation of the 1957 Federation of Malaya excluded Singapore in the equation. During these discussions, both Melaka and Penang were referred to as the Crown Colonies whose people are citizens of Britain. The discussions involved Her Majesty Queen Elizabeth’s Government, the Nine Malay Rulers, and the Alliance government the people had elected to represent them. In an early stage, it was agreed by both Her Majesty’s Government and the Nine Rulers that the office and person of the Yang DiPertuan Agong and the Queen would jointly administer the Settlements as “equal partners.” According to this arrangement, the Queen would delegate her sovereign authority to the Yang DiPertuan Agong as the representative of the Queen and the Nine Rulers and that the Melaka and Penang would have a Governor appointed in consultation with the Straits Settlements’ office (CO1030/132(28) dated 16 August 1956). This would be in line with protecting the Straits Chinese who were British subjects whose representation to the British government expressed fears that if Penang is administered by the independent Malayan government, they would be subjected to discrimination. The British High Commissioner to Malaya, Sir Donald MacGillivray had already expressed grave doubts as to whether that arrangement would be accepted by the Alliance Party as the latter had wanted all the Settlements involved to be part of the newly independent and self-governing Malaya (CO1030/135 (2) dated 19 July 1956). 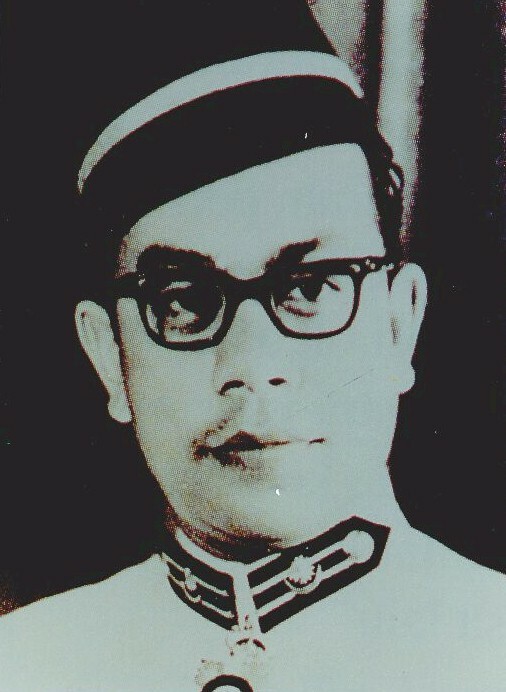 UMNO as represented by Tunku Abdul Rahman had also proposed that the provisions for Malay reservations in the proposed Constitution should be applied to Penang and Melaka. However, this was met with stiff resistance by the British government. The Secretary of State said the proposal could “aggravate racial feeling”, adding that during the 180 years of British rule in the Settlements there had been no racial discrimination (CO1030/496 (8) dated 14 May 1957). A compromise was proposed by the Rulers’ legal adviser, Neil Lawson, who suggested that one of the clauses on land reservations to include a provision to allow the State governments to set up a trust to buy land for the settlement of the Malays. This compromise was accepted by the meeting. This proposal was contained in Article 88 of the Federal Constitution allowing Parliament to modify the articles on land (Articles 83 – 87) for application in Penang and Melaka (Constitutional Proposals for Malaya, Cmnd, 210, op.cit). If you noticed in all the above meetings not once did the Sultan of Kedah, Sultan Sir Badlishah ibni al-Marhum Sultan Abdul Hamid Halim Shah, discussed the return of Penang to Kedah as well as asserting His Royal Highness’s sovereign authority over Penang. This demonstrates that Pulau Pinang and Seberang Perai were no longer legally part of the Kedah Sultanate. However, what also almost happened was the return of Melaka to the Dutch. On 16 May 1957, a newspaper Straits Budget reported that the Malayan Party under Tan Kee Gak had planned to ask the British Secretary of State about the Anglo-Dutch Treaty of 1824 in respect of Melaka. According to Tan Kee Gak, Britain was planning to abandon Melaka to Malaya and as a contracting party was in breach of the said contract. Therefore, Melaka should be returned to the Dutch instead of be part of an independent Malaya. The Colonial Office viewed the report seriously and sought the advice of the Foreign Office which in turn sought the help of the government of the Netherlands to renounce such a claim explicitly (CO1030/439 (79) dated 20 June 1957). I have no reservation whatsoever in expressing my disgust at the way Lim Guan Eng runs Penang and uses it in a very unMalaysian way. But I doubt there is any legal avenue that would allow for the return of Penang to Kedah that would be undamaging to the country in its present legal form. It would allow for parties in Melaka perhaps to ask Netherlands to reconsider claiming the state as its own based on the 1824 treaty, and Manila would have a legal precedence to follow in its claim on Sabah. Not once did the Sultan Of Kedah from the days of Sultan Ahmad Tajuddin Halim Shah II through Sultan Abdul Halim Mu’adzam Shah have ever staked a claim on Penang. This is simply because the treaties of 1791 and 1800 have superceded the one made in 1786. And Penang’s current form is because of the 1957 Federal Constitution, cemented further by the 1963 Federal Constitution, agreed upon by all including by the Nine Malay Rulers without a single objection to its sovereign status. So how is it that Penang should be taken back by Kedah? If the current claim is about the maruah (face/pride) of the Kedah Sultanate or about the pride of the Malays, that is just the mouth talking before the brain could think. It would be nice to live dreaming about the day Penang becomes another district of Kedah but that is what the heart wishes. It is the legal and constitutional implications that have to be thought of thoroughly. There is nothing wrong with wanting to be a moderate. Moderation is what is preached in Islam. Moderation is what seems to be eroding by the day not just in Islam, but in other religions and cuts across the racial board as well. And this applies to every single country there is on the face of this Earth. And to have a group of people advocating moderation is a more-than-welcome effort in this young-but-amnesiac country that seems to have lost all institutional memory of the events that had brought about the Federal Constitution of Malaysia. Reading the The Star’s interview with Tan Sri Alwi Jantan (Torchbearers for founding fathers – Sunday, 4th September 2016) I cannot help but agree to some of his points, but at the same time feel as if there is some form of misguidance, or misinterpretation of the Federal Constitution, and a deliberate misleading on the respected Tan Sri’s part. I agree that rather than focusing on petty issues such as whether or not the Langkawi statue is haram, the religious councils as well as JAKIM should focus more on the development of correct as well as balanced knowledge on Islamic subjects such as Tauhid, Fardhus Ain and Kifayah. This is important to counter the influence of deviationists especially that of the Da’esh. However, religious as well as racial extremism is not confined to Islam alone. In the name of pluralism as advocated by the G25, there should only be single-stream schools. Children who do not grow up together will grow up apart. We can never talk about unity and understanding if we do not understand each other. Preserving the mother-tongue can be done after formal classes are over and this can be done at the school itself, perhaps after lunch. So could the Islamic religious classes. In the latter category, this would ensure that correct teachings are being imparted to the children rather than by private religious schools whose curriculum are not being monitored effectively by the religious councils. Also that way working parents do not need to worry about the whereabouts of their children and can pick them up at school after work, or a similar arrangement could be made. Even Lord William Reid himself was not in favour of the proposal by MCA and MIC saying that it would cause practical difficulties (Ibid/Making of the Malayan Constitution, Joseph M Fernando, pp 128-129). It was for this reason that the Tunku promoted the Rumi script for the Malay language at the expense of the Jawi script to enable the non-Malays to learn the national language rapidly (Tunku Abdul Rahman (1984), op. cit., pp. 112-114). This has been enshrined in Article 152 of the Federal Constitution as well as in the National Language Act, 1963/1967. The reality of it now is that the migrant workers from Bangladesh, Pakistan and Myanmar are more able to grasp the Malay language than many of our own Identity Card-wielding citizens. Mind you, they also stood still at Dataran Merdeka while the NegaraKu was being played. Our own citizens refuse to stand up when the NegaraKu was being played in the cinemas, extinguishing the very torch of our founding fathers. The Constitution is secular only up to a certain point. The Reid Commission, commissioned by both Her Majesty The Queen of England and the Malay Rulers had initially omitted a proposal by the Malay Rulers to have Islam as the religion of the Federation. Reid saw it fit that matters of religion be handled only by the Ruler of the respective States, and that the special position of the Malays be reviewed after 15 years. 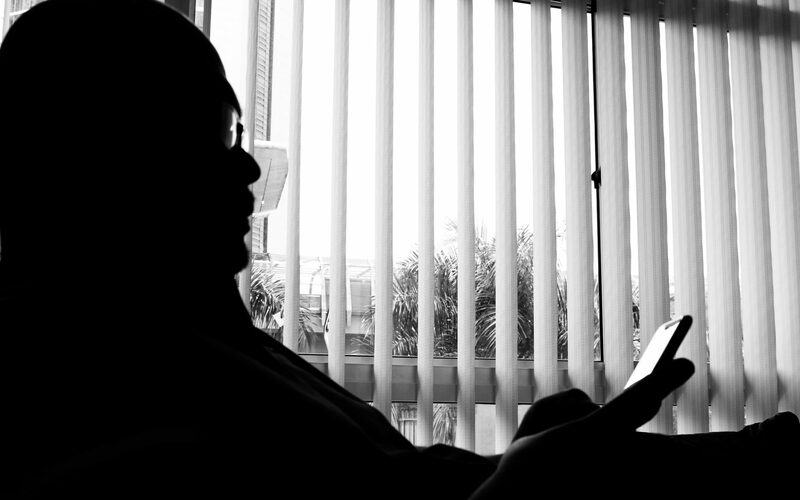 When the report was published, the strongest objections came from the man revered by Malaysians now as the father of multiracialism – Dato Onn Jaafar, who as the leader of Parti Negara said that the Malays had been let down. PAS claimed that the Malay interests had been cast aside (von Vorys (1975), op. cit., p.132). Hence, the Tunku later submitted that Islam be made the religion of the Federation with two provisos added: first that it would not affect the position of the Rulers as head of religion in their respective States; second, the practice and propagation of other religions to the non-Malays in the Federation would be assured under the Constitution (UMNO/SUA 154/56, Minutes of Alliance ad-hoc political sub-committee meeting, 2 April 1957). Fast forward to the present, Article 3 of the Federal Constitution has clearly mentioned Islam as the religion of the Federation with the Rulers being the Head of religion in their respetive States, while the Yang DiPertuan Agong becomes the Head of religion in the States of Pulau Pinang, Melaka, Sabah and Sarawak, as well as in the Federal Territories of Kuala Lumpur, Labuan and Putrajaya. It is not an official religion but the religion of the Federation. The provisos added to safeguard the practice and propagation of other religions are now enshrined in Article 11 with limits to propagate given in Clause 4 of the said Article, to safeguard and honour the position of Islam as the religion of the Federation. There is even a separation of jurisdiction when it comes to the position of Islam in the Federal Constitution. The Syariah Law comes under the purview of the respective Rulers, and the Attorney-General of Malaysia, under Article 145(3) does not have the jurisdiction over proceedings before a Syariah court, a native court of a court-martial. This separation of jurisdition is also present as provided by Article 121(1A) where both the High Court of Malaya and High Court of Sabah and Sarawak do not have any jurisdiction over Syariah matters. Therefore, the respected Tan Sri should be aware that, borrowing the words of Sir Stamford Raffles in a 1815 letter to his cousin mentioned how “Religion and laws are so united” in Muslim dominated areas that the introduction of Christian beliefs will bring about “much mischief, much bitterness of heart and contention”. (Seademon, A Case For God, 1 Jan 2013) . 1. (1) This Act may be cited as the Syariah Courts (Criminal Jurisdiction), 1965. 1. (2) This Act shall apply to all the States of Peninsular Malaysia. Provided that such jurisdiction shall not be exercised in respect of any offence punishable with imprisonment for a term exceeding three years or with any fine exceeding five thousand ringgit or with whipping exceeding six strokes or with any combination thereof. The Act, clearly says that it first and foremost, applies to all States of the Peninsular Malaysia. It is not applicable to where the Yang DiPertuan Agong is the Head of religion ie. the Federal Territories, Sabah and Sarawak. Second, it applies only to Muslims and any matters in List II of the State List of the Ninth Schedule to the Federal Constitution. Third, it cannot propose any punishment that prescribes any jail term exceeding three years, or with any fine exceeding five thousand ringgit, or with whipping exceeding six strokes or with any combination thereof. Therefore, there is no question of introducing stoning to death, amputation of limbs etc. Anything above those limitations will be referred to the Criminal Courts. So, Tan Sri, care to explain how are secularism and pluralism being attacked with examples of provisos of the Federal Constitution or any laws made under it? But over time good governance has been eroded at an alarming rate, he says. “This shows the rot in Malaysia, but it is a rot which was started during Mahathir’s 22-year premiership, and by Mahathir himself! Today, Mahathir is obsessed with the toppling of Najib as Prime Minister, but this is not because he wanted to stop the rot in Malaysia, to restore the independence and integrity of the judiciary and a just rule of law; to end the subversion of the independence and professionalism of national institutions whether the civil service, the police, the elections commission or anti-corruption agency; eradicate rampant corruption; restore ethics and honesty in public life; re-establish a good education system or restore Malaysia’s economic competitiveness. Mahathir wants Najib out as the Prime Minister for Malaysia, not to stop the rot which was started by him during his premiership, but for an agenda personal to himself. I’m surprised the good Tan Sri had made no mention whatsoever of this episode. And he was a civil servant by definition, under the tutelage of the Pribumi person himself and remained in public service until 16 April 1990, thirteen years before Mahathir steped down. So, Tan Sri, it is good that you want to become the torchbearer of the founding fathers of this blessed nation. However, please ensure that you are on the right path first before you decide to light that torch and guide others. UK Health and Safety Executive What’s new at HSE?